Around 4 months following his last appearance on WWE television, the Undertaker appeared at the Battleground pay-per-view last night and took out the former WWE World Heavyweight champion Brock Lesnar. Taker, who last wrestled at WrestleMania 31 against Bray Wyatt following one full year away from television, returned for revenge, causing the man who ended the streak the WWE title. The two have a very long history together with sometimes getting too personal although it was the Undertaker who reportedly chose Lesnar to end his streak. 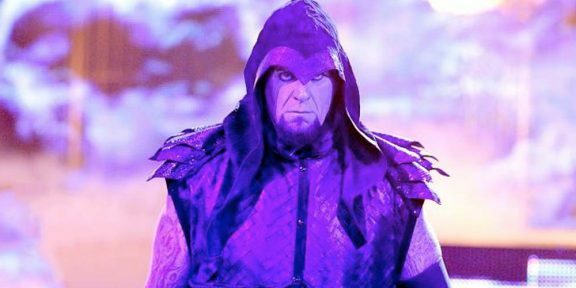 The news of return of the Undertaker was first put out on the Reddit SquaredCircle community by an insider who said people should really watch out for Battleground because there would be something with the “man with the coffins.” Eventually other reports then surfaced saying Taker would be on Raw, and not necessarily at Battleground, to kick start his angle for SummerSlam, an angle which now will most likely lead to Lesnar vs Undertaker. This is the first time in years that the Undertaker will be participating at another event during the year apart from WrestleMania.